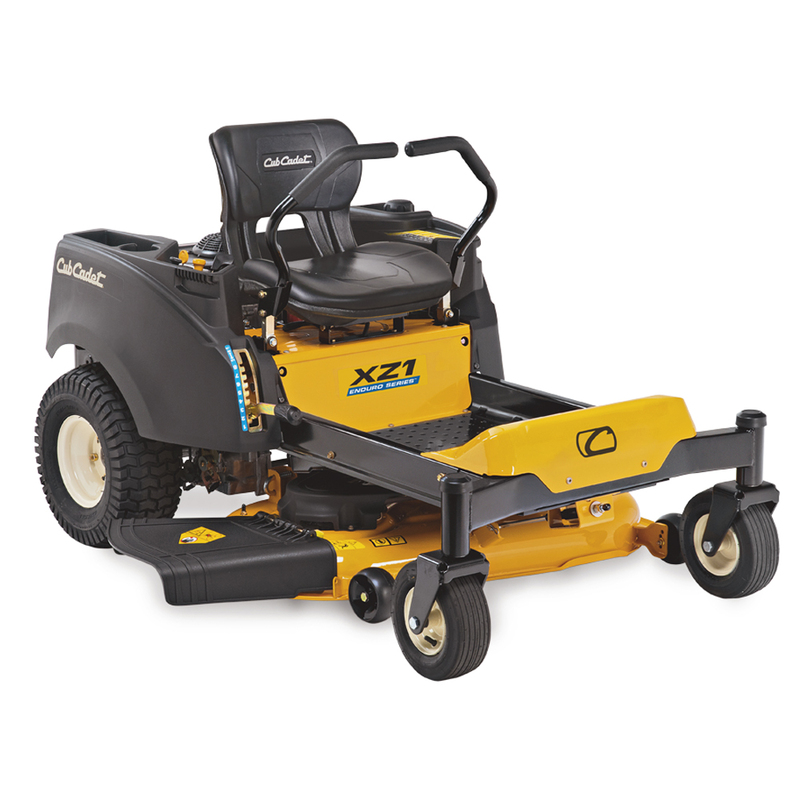 Built for strength with heavy-duty components and high-performance commercial-grade engines, the XZ1 Series delivers dependability and the professional results you demand. With a reinforced steel frame and chassis and a heavy-duty fabricated front axle, the XZ1 Series has the strength you need. Soft grip features make the work easier and more comfortable. Generous legroom plus a low seat position make for fatigue-free working. 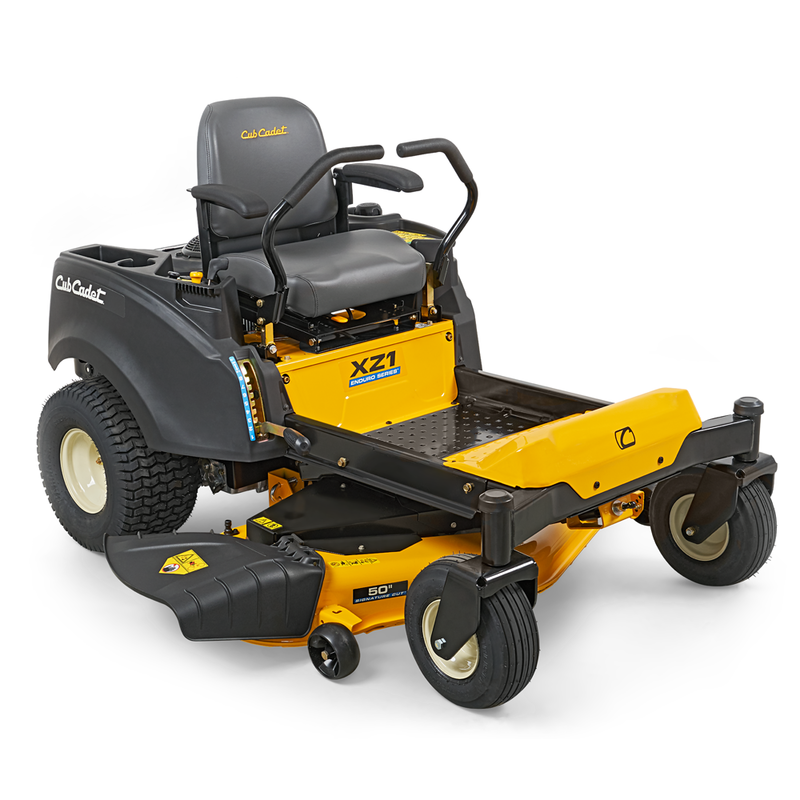 A deep and wide frame makes getting on and off your Cub Cadet XZ1 straight forward. Ideal for comfortable working (XZ1 127 and XZ1 137). 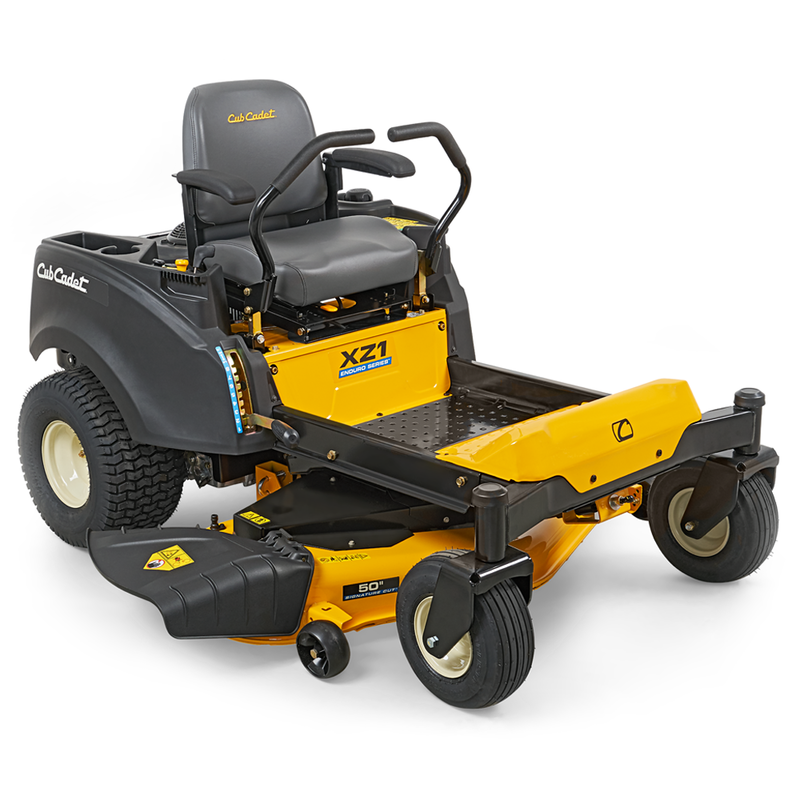 The heavy-duty mowing deck has been designed for long-term use. The cutting pattern was improved by increasing blade overlap. Available on the XZ Series.